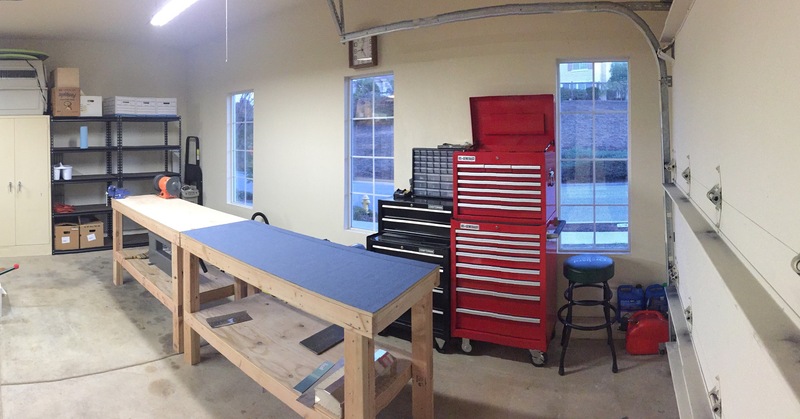 I spent about a month and a half of just cleaning out the garage and organizing it. The deal was that if I clean the garage for my mom, I could use half of it for my plane. I purchased shelving units from Home Depot, cleaned out all the garbage and junk, and then began to organize everything. 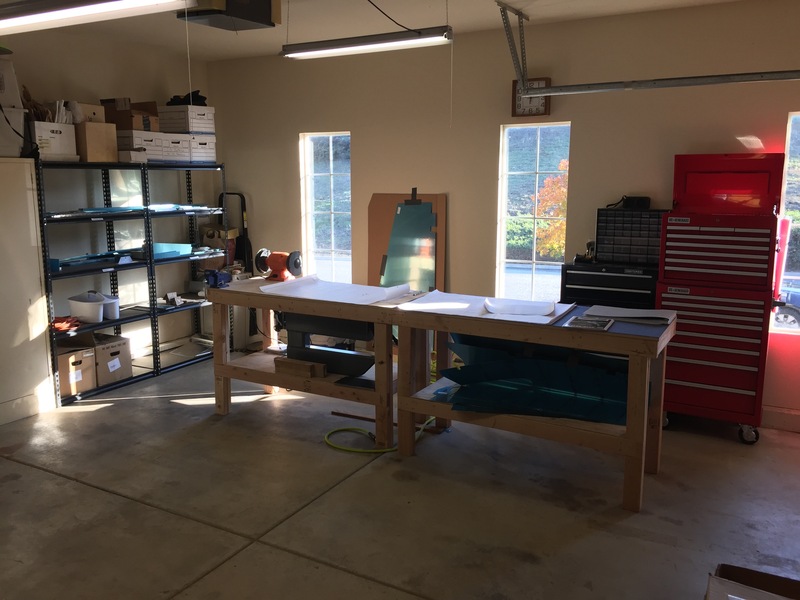 I then built a couple EAA tables, and I covered one in a workbench liner. I highly recommend it, it provides a soft and smooth surface to work on especially for the polished aluminum parts. I also purchased a couple of tool chests, and I purchased the RV Tool Kit from Isham Tools (www.planetools.com), it is a great kit and so far I’ve only needed to purchase a couple other tools from other venders. Its a small workshop, but it will get the job done.